Spreading positivity with socks, Talking Toes found success in the most unlikeliest of place – yes, a pair of socks. Founded in April 2015, this company was started up by Singaporeans Nison Chan and Lucas Saw as the pair quit their jobs to pursue this startup dream. The two has now found success with their socks being stocked in 17 stores both locally and worldwide, among which 14 are in Singapore and one international stockist each in South Korea, Myanmar, and San Francisco. 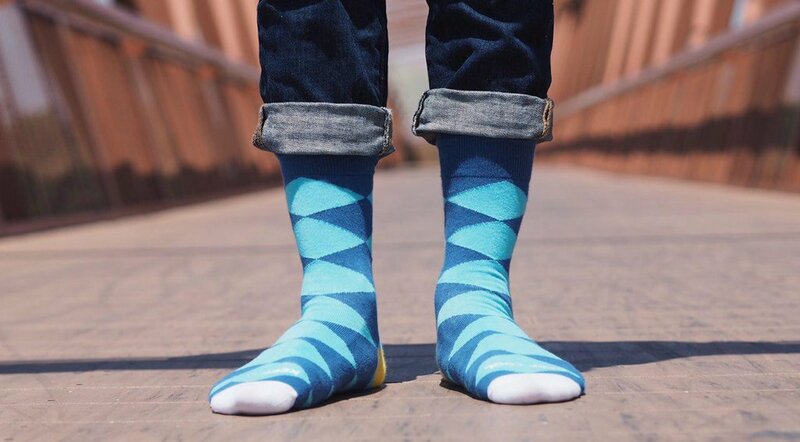 Looking back, founder Nison Chan says that he always had an affinity with socks since he was a teenager, his favorite being an international socks brand called Happy Socks. Since his first pair, his fancy socks collection has grown to now filled up three bags. True to that, the pair of socks with vibrant colors and snippets of inspiration printed onto them can lift anyone’s spirit when they put it on and start their day. Most of the quotes are short, sweet and concise such as “Celebrate Life”, “Be Yourself” and “Dream Big”. It’s not just that, the socks are also of premium quality, woven from combed cotton, which is different from regular cotton, being finer, stronger and more compact. This material allows the socks to have a gentler and softer feel on the feet while maintaining durability and design quality. Besides that, seeking to expand their business to more international audiences, Talking Toes has also placed a project on popular crowdfunding site Kickstarter last month. Promoting itself as the world’s first inspirational label, Talking Toes to date, with 20 days to go has already achieved the support of 83 backers and also exceeded its goal of S$3000 with a surplus of $1366. Talking Toes offer premium quality socks with inspirational quotes on them. It currently has 9 inspiring designs with the most popular being, “Blessed”, “Be Yourself” and “Be Confident”. Their socks can be purchased online or bought from 14 stores in Singapore.